Kids, and Grownups, and CLAY ! Are you, or a kid you know, interested in exploring the medium of ceramics? 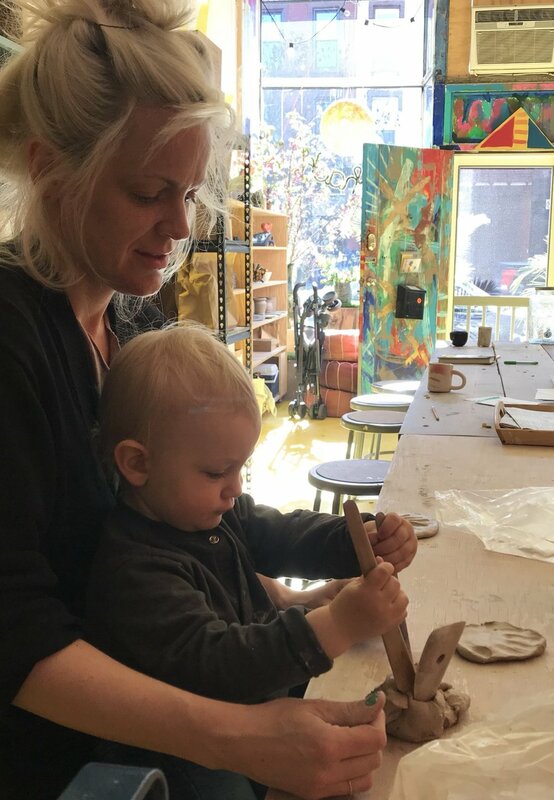 Come in on a Saturday or Sunday to get your hands in some clay and begin your family collection of hand made stoneware masterpieces! This class is for kids ages 5 -14. Learn how to prepare your wheel for throwing, center the clay, cone up and down, and throw a vessel. Learn how to use the wheel so that you can go on the wheel the next time you come to Open Clay Time! Kids & grownups work together with an instructor to create their very own small collection of ceramic treasures. Classes will incorporate both wheel throwing and hand-building. All ages are welcome! Come and experiment with ceramics at your own pace. 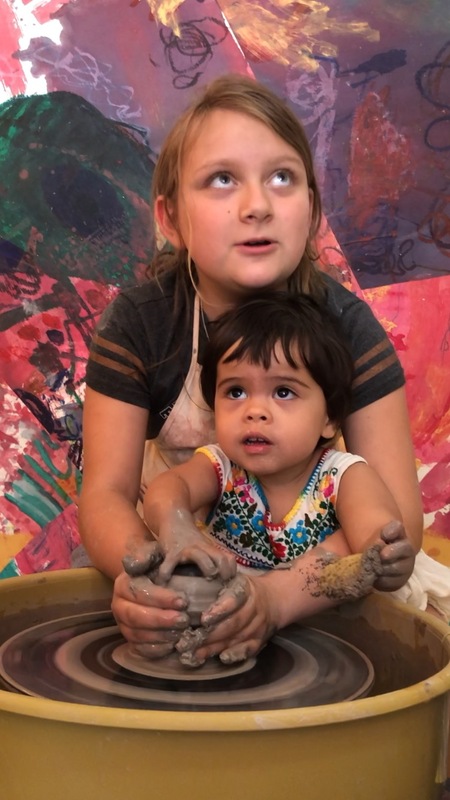 We will provide you with clay and a rainbow of colored slips to paint with. Experienced ceramicists will be able to use the wheels.